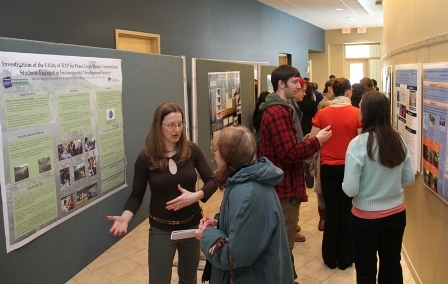 The Michigan Tech Center for Water and Society celebrated World Water Day on Thursday, March 21 with a student poster competition. 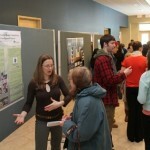 The posters covered different topics in water research occurring at Michigan Technological University. Posters were displayed on the 1st floor of the Great Lakes Research Center; CWS Faculty presented a showcase of CWS research, followed by A dinner in the Atrium overlooking the lake.